Vaccination should be done between the ages of nine and 11, but efficacy improved as people got older, Jon Abramson, chairman of the WHO's Strategic Advisory Group of Experts on immunisation (SAGE) told a news conference in Geneva. The vaccine needs to be administered in a three-dose series and SAGE does not recommend its use before nine-years-old, which it said was consistent with current labelling. Dengue kills about 20,000 people per year and infects hundreds of millions, and it is becoming much more prevalent and widespread. 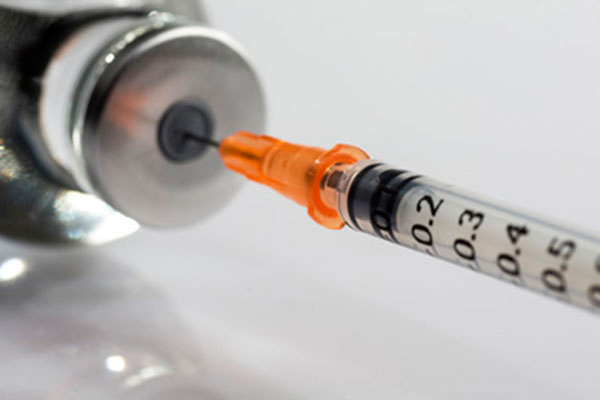 "The number one main recommendation is that this vaccine is efficacious and safe but should be only used in populations where the disease incidence in the population is at least 50 per cent," Abramson said. "So it shouldn't be used in areas with what we would call low transmission. "The key reason for that is when you look at the efficacy of the vaccine, in those who have not been infected the efficacy is nowhere near as good as in those who were previously infected." Severe cases of dengue usually occur when people are infected for the second time with a different one of dengue's four serotypes, he said. The doses of vaccine should be administered at six month intervals. "That in itself brings up a whole set of implementation issues about how were going to get three doses of the vaccine into these children who usually don't access healthcare three times in a given year." Each country could make its own decision on whether to use the vaccine, but by SAGE's criteria there would be a need for "many millions of doses", Abramson said. "I learned yesterday that the company has the capacity to make 100 million doses a year once its manufacturing capacity is fully up." He said the company had not settled on a price but had promised to make it cost effective, but it was not clear if that meant on an individual or societal basis. "To get the three doses and get them delivered -- so we're not just talking about the price of the vaccine, it would be cost effective if the cost of delivering those three vaccines into the arms of children... would have to be $50 or less."